A comprehensive performance testing program is an essential ingredient of high-quality singlephoton emission computed tomography (SPECT). Many of the procedures previously published are complicated, time consuming, or require a special testing environment. 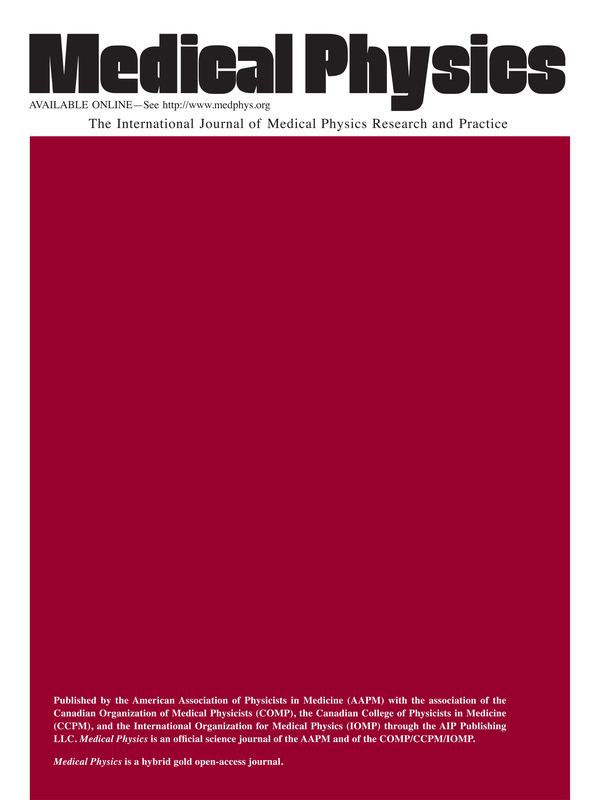 This Task Group developed a protocol for evaluating SPECT imaging systems that was simple, practical, required minimal test equipment, and could be performed in a few hours using processing software available on all nuclear medicine computers. It was designed to test rotational stability of uniformity and sensitivity, tomographic spatial resolution, uniformity and contrast, and the accuracy of attenuation correction. It can be performed in less than three hours and requires only a Co-57 flood source, a line source, and a tomographic cylindrical phantom. The protocol was used 51 times on 42 different cameras (seven vendors) by four different individuals. The results were used to establish acceptable ranges for the measured parameters. The variation between vendors was relatively small and appeared to reflect slight differences in basic camera performance, collimation, and reconstruction software. Individuals can use the tabulated values to evaluate the performance of individual systems.